SB-139 will next move to consideration by the full Senate. 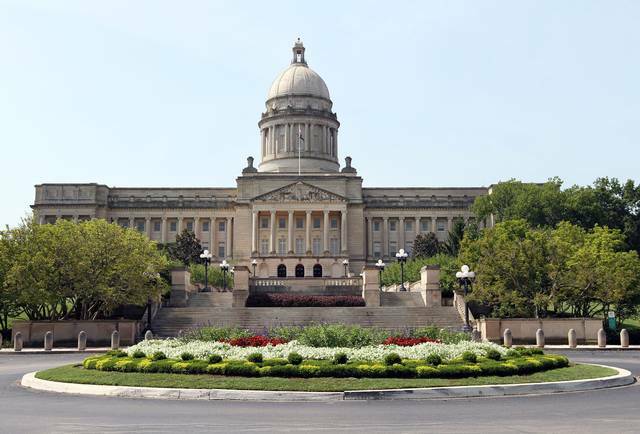 FRANKFORT, Ky. (February 28, 2017) — The Kentucky Senate Agriculture Committee today unanimously passed a bill that would designate equines as livestock, an action that if approved will provide tremendous benefit the entire horse industry. Securing livestock classification of horses and equine has been among the top policy priorities of the Kentucky Equine Education Project (KEEP), since being founded in 2004. Sen. Robin Webb of Carter County sponsored Senate Bill 139, which she said she’d been working on for several years. Webb stressed the designation is important to make sure that horses are not classified as companion animals, similar to household pets. She emphasized that her bill did not deal with taxation, with the state’s 6-percent sales tax required when buying feed, bedding and equipment used for equines, with all other livestock exempt. Several of the committee members clearly were sympathetic toward tax equality for the horse industry. 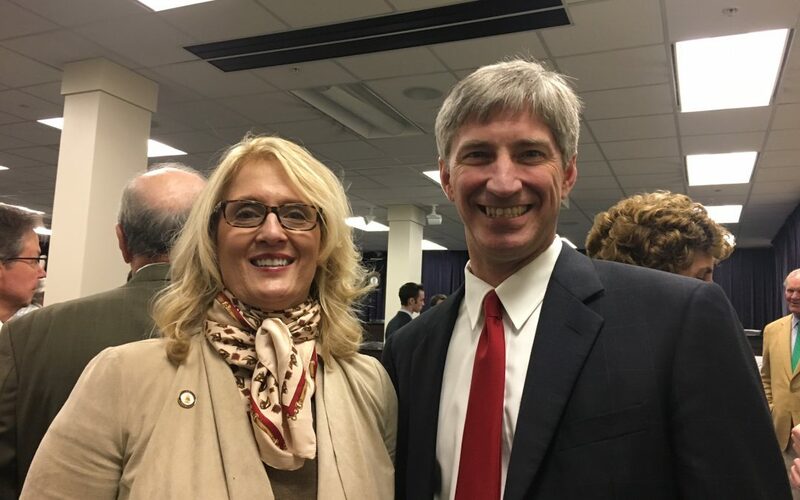 Agriculture commissioner Ryan Quarles, who represented Scott County as a member of the Kentucky House of Representatives, applauded the action. The Kentucky Equine Education Project is a not-for-profit grassroots organization created in 2004 to preserve, promote and protect Kentucky’s signature horse industry. Support for KEEP’s activity comes directly from the horse industry and horse industry supporters. To learn more about how you can become a member or make a contribution, please visit www.horseswork.com. 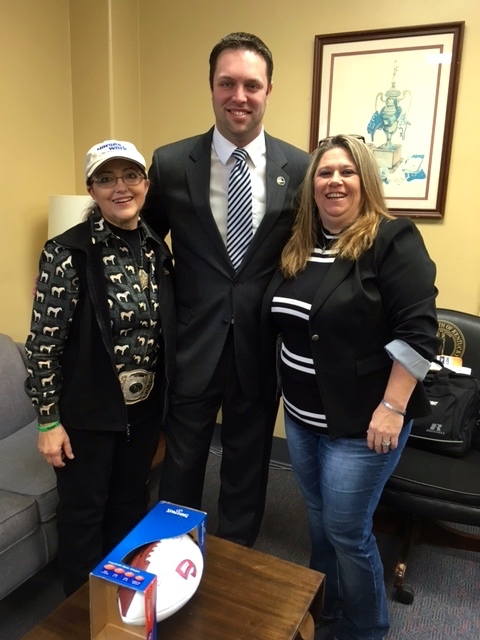 KEEP members discussed the importance of horses to Kentucky’s economy. 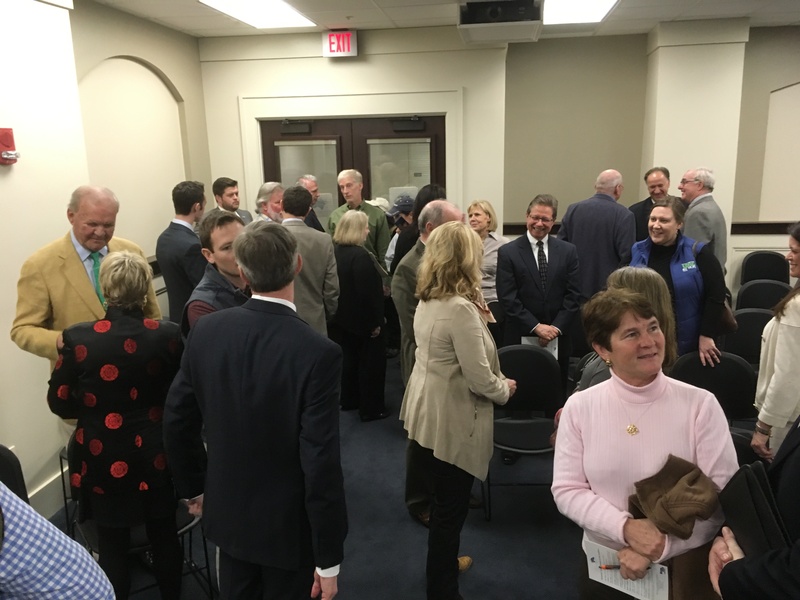 LEXINGTON, Ky. (Friday, Feb. 24, 2017) — Kentucky equine-industry participants and supporters got the chance to emphasize the important impact horses have on the state and local economies during visits with state legislators on Wednesday’s KEEP Day in Frankfort organized by the Kentucky Equine Education Project. 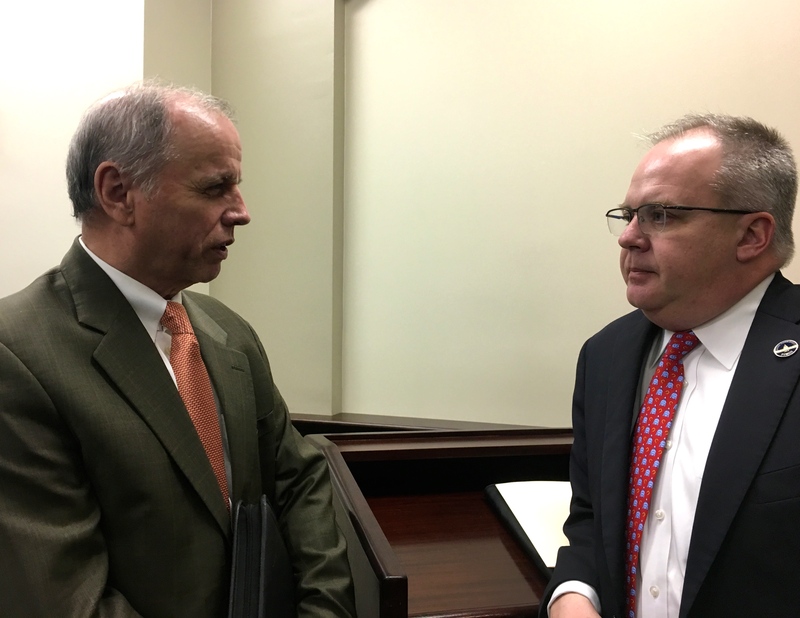 Several dozen stake-holders in Kentucky’s $4 billion horse industry told an array of lawmakers their individual stories and advocated for state sales tax exemption for feed, equipment and supplies, equal to that provided to other livestock. Edmonton County’s Linda Starnes, a team leader in KEEP’s state-wide grassroots network who owns, trains and shows Tennessee Walking Horses, said the Kentucky Breeders’ Incentive Fund (KBIF) is a tribute to all breeds in the state working together to enhance the overall horse industry. The KBIF, whose creation was spear-headed by KEEP working with legislators, provides funding for non-racing breeds and is largely financed by sales tax on Thoroughbred stud fees. This month, the Kentucky Horse Racing Commission released $940,000 from the KBIF to non-race breeds, bringing the total distributed since the fund’s 2005 inception to $10.8 million. 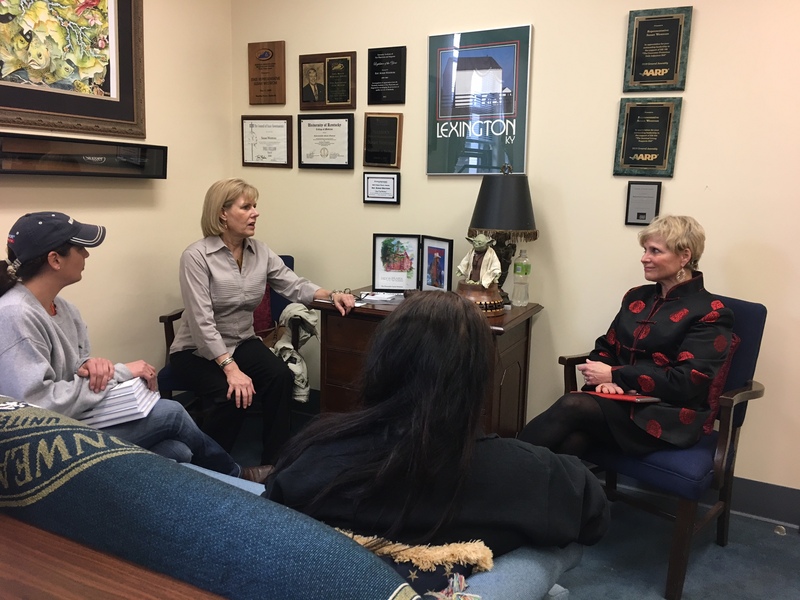 Sen. Robin Webb of Grayson County, a member of the executive committee of the Tennessee Walking Horse Breeders’ and Exhibitors’ Association, said the KBIF is attracting horses from non-racing breeds to Kentucky, resulting in a huge surge in competitions. Rep. Kelly Flood of Lexington said KEEP has done a good job focusing on the economic benefits of the industry. 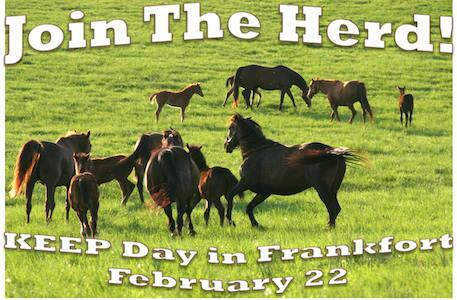 LEXINGTON, KY — The Kentucky Equine Education Project has scheduled KEEP Day in Frankfort during the 2017 legislative session for Wednesday, February 22, making it easy for those involved in the industry to meet with their state legislators to discuss the importance of horses to their districts’ economy. Horses of all breeds form a $4 billion industry in the commonwealth, supporting an estimated 100,000 direct and indirect jobs, spanning all 120 counties. Kentucky is home to 35,000 operations with at least one horse, totaling 242,400 equines (including mules and donkeys) and $23.4 billion in value when including related assets, according to a University of Kentucky Department of Agriculture survey. KEEP’s top priority for 2017 remains the push for equine sales-tax equity, achieving the same exemption from 6% sales tax on feed, equipment and supplies that other livestock producers receive. Those wanting to meet with their State Senator and/or Representative as part of KEEP Day can go to horseswork.com/advocacy and confirm their attendance by simply filling in their name and address. Their specific Senator and Representative will be automatically notified. Legislators will set up appointments for constituents by either email or going through KEEP in order to accommodate multiple members from their districts. Those interested in attending can also call KEEP at (859) 259-0007, and KEEP staff will help arrange appointments with legislators. The KEEP team will be in contact with all registrants prior to February 20 to provide additional information. The first twenty attendees to register will receive a special gift. Upon their arrival in Frankfort on February 22, they’ll be given a 12 X 19” print signed by Courier-Journal photographer Michael Clevenger of his 2015 Eclipse Award-winning photo of American Pharoah clinching the Triple Crown at the Belmont Stake, with jockey Victor Espinoza looking back at the field far in his wake. The Kentucky Equine Education Project is a grassroots organization created in 2004 to preserve, promote and protect Kentucky’s signature horse industry. Support for KEEP’s activity comes directly from the horse industry and its supporters. To learn more about how you can become a member or make a contribution, please visit www.horseswork.com.